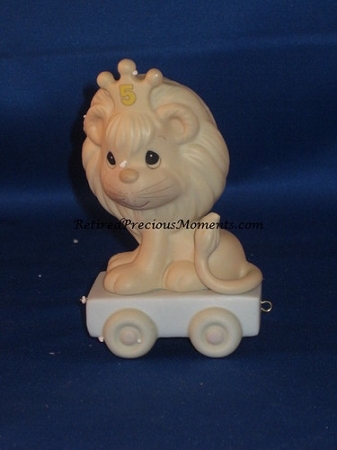 This addition to the Birthday Train figurine series depicts a lion riding on top of a train car. The lion wears a crown reflecting age five. Stands 4.0 inches tall.